We get a lot of questions about Cuba and are willing to help. Some questions kept popping up so we compiled them in this FAQ section. Please see if your question is answered below before mailing us. Not at all! Cuba was voted the safest country at the International Tourism Fair in Spain in 2018. For tourists that is… For Cubans it’s another story. Internet is more and more available in Cuba. Every hotel has a Wi-Fi network (some at exorbitant prices) and every town (even the little ones) has at leas one Wi-Fi Park. That seems straight forward, but there are some things to consider. Here’s the Wi_Fi manual to get online. Cuba even has a 3G network, which give you access to the Web. Cubans can buy a Data package but you can’t. Switch your roaming off. Mobile data are incredibly expensive! You need a passport that will still be valid 6 months after you leave the country. These 6 months are the official requirement but I’ve never heard of anybody being refused for not complying with that. It should still be valid though. You need a, so-called, Cuba declaration from your health insurance. Just give them a call, they know the drill. You need a visa, which is actually a tourist card. These are the different ways you can obtain one. Everybody stating that you need travel insurance is selling them. That’s like the butcher saying that eating meat is mandatory… It’s not. You need a Health Insurance Declaration but no travel insurance. Cuba is not the most expensive county in the Caribbean but not the cheapest either. All-inclusive hotels are cheap(ish) but you get what you pay for. Here’s an analysis of your budget. On top of the normal expenses Cuba has a hefty ‘no clue tax that can only be avoided by getting a clue about this weird country. If you think that Cuba must be inexpensive, because a doctor earns 50$ a month. Think again. Nobody in Cuba lives on 50$ a month! Is Cuba safe for a woman alone? Yes it is. You might want to hang on to your heart however! Cuban men are very chevalier. They will all protect you and help you, meanwhile helping you to spent money too! My advice would be: Enjoy the life of a queen for a while but don’t take it all too seriously! Don’t fall in love please! The most dangerous thing for a woman alone (and for all other foreigners) is the sidewalk. Watch where you put your feet! Lots of broken ankles among tourists in Cuba! Do the ATM’s work for me? That depends. If you are from the States no ATM will work because the embargo prohibits US banks to sent money to Cuba. And if the bank has no way to get paid they can’t supply you with money either. Most, non-US work in Cuba. That does not mean that all ATM’s work. There are a number of reasons for that: There is no money in them/the connection is down/the machine broke down/lots of other reasons. You can use both Debit and Credit Cards. We encourage you to be discouraged by long (more than 5 people) waiting lines! (See our book for details). What about the double currency? Well… officially Cuba has two currencies: The Convertible Peso (also called ‘Peso’ or ‘Dollar’ or CUC or ‘Fula’ or ‘Caña’) and the Cuban Peso (also calles ‘Peso’ or ‘Moneda Nacional’ or CUP. Both are indicated with a $ sign. A sound confusing doesn’t it? And it is indeed. I started this answer with ‘officially’ because I don’t believe that Cuba has two currencies. Here I explain the whole double currency hoax. Can I use Moneda Nacional? Yes you can. And you should! How do I keep those currencies apart? Simple: CUC = monuments and CUP = faces of revolutionary hero’s. It’s important to keep them apart. I once saw a girl pay for an apple at the market with 10 monuments and she got nine faces back. Price of the apple 9,60 $! Don’t worry if you pay with faces, they will never give you monuments back. How do I know which currency to use? Your budget depends on the life style you want to have. It’s hard to get below 30 a day and easy to get above a 100. Cuba is not the most expensive destination in the Caribbean but not the cheapest either. Here an extensive article about expenditures. Well… it’s a tropical climate… It can be a bit frisky in December and January. So bring a sweater, jeans and some warm socks. What else should I take with me? Anything you need. Toothpaste, toothpicks, deodorant, shaving foam, tampons, sun block (full list in our book but you get the idea). All stuff you need might be available or not. If it’s not and you do need toothpaste you might not be able to brush your teeth for a week (or two). So just bring all consumables you need for the time of your stay. Vaccinations are not mandatory. You could however take a Hepatites A shot just to be on the safe side. What diseases should I fear? The most common diseases in Cuba are Zika and Dengue. Both are rare however and are transmitted by mosquitos. Cuba is very active en effective in fighting mosquitos, especially in the tourist areas. Last mosquito seen by me in Old Havana was somewhere in 2009! The probability of getting one of those diseases is small but not absent. Both will feel like a heavy flue (speaking from personal experience). What medicines are available in Cuba? Most common medicines are available in the international pharmacies and every town has one (or more). If you need special prescription medicines however I suggest you bring them with you. Cuban health care is quite good but excellent for foreigners. In Havana the International Hospital Cira Garcia has a good reputation and all provincial hospitals have a ‘foreigner service’. If you get sick you go to the hospital or have your landlord send for a doctor. I personally prefer getting sick in Cuba than in many other parts of the world! Can I travel Cuba with kids? No problem at all. Cubans love children and it will make you a lot of friends (especially if they are blond). A lot bigger than most people think! It’s long and narrow measuring almost 1000 miles from east to west. Average travel speed is low so take your time! Travelling the whole Island in two weeks means you are spending all time travelling. Don’t overextend your plan! How Long is a Cuban? No! How Long is a China man and he left Cuba shortly after the revolution because the Chinese are not very fond of socialism. Except for some military zones you are free to roam the whole Island. And you should. Cuba has many hidden treasures outside of the tourist alley (Havana, Vinales, Trinidad and Santiago. Contact us and other practical stuff. I understand that you guys want to stay anonymous but how do I contact you? You can reach us by mail at cubabookconga@gmail.com. We usually reply within a day except when the Internet is down or of we are travelling trough an Internet free zone J. Why is your blog so different from anything else I found on the Internet? Well… we live here and most travel bloggers spend 2 or 3 weeks in Cuba and think they understood it all. 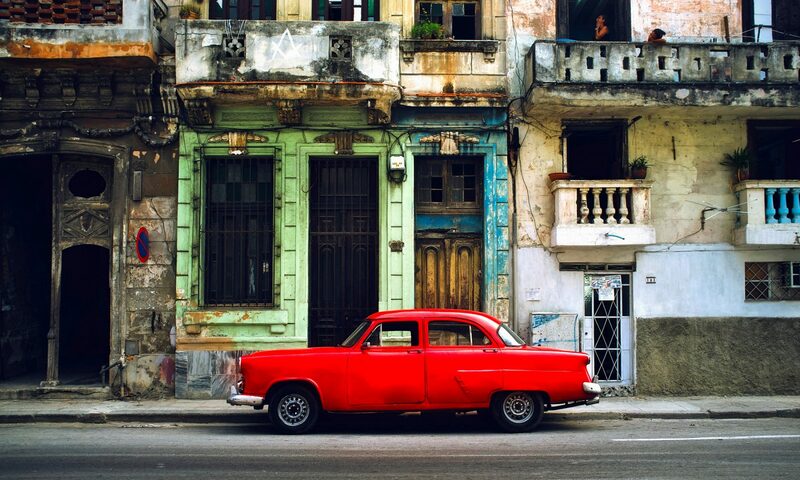 The Lonely Planet sends 3 people for 2 weeks and they ‘do’ Cuba very superficially. People that have either no clue or a commercial interest tell all those stories about the happy and friendly Cubans, Mojitos, Salsa and fun. We only make some money selling up to date and accurate information and nothing else. So we have no other motives. Simple. Just send us a mail (cubabookconga@gmail.com) and we will refund you. Do you have a paper version? No. We love trees and up to date information. We update the book regularly (about twice a year). Can you imagine the logistic nightmare of that with a paperback? I have another question what should I do. Well… we’ve put our email address twice in this FAC now… You could send us a mail J. However, we get a lot of mail and questions that can be answered by a simple Google search are ignored. The same goes for questions like:’ Do you know the name of the hotel opposite the railway station in Camaguey? We spend such a great night there. Yes we know the name of hotel Plaza but if that is important to you, you should have remembered. By the way, the answer to that question by Google. Well… You should buy the book because we explain Cuba on a whole different level. Give you tips and advice that will give you a better experience and will save you a lot of money. We also make you burst out laughing a few times with some stories that don’t fit your reference frame but really happened. Enough? And if you don’t like it we’ll refund it.